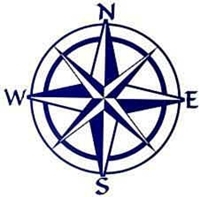 Compass points allows individuals and groups to give a response using the points of a compass. Each point encourages them to provide feedback in a slightly different way.As a facilitation tool it can be used at the end of a session or day or at the beginning of a new session. It is an example of formative assessment that allows the facilitator to gage the needs of the learners.